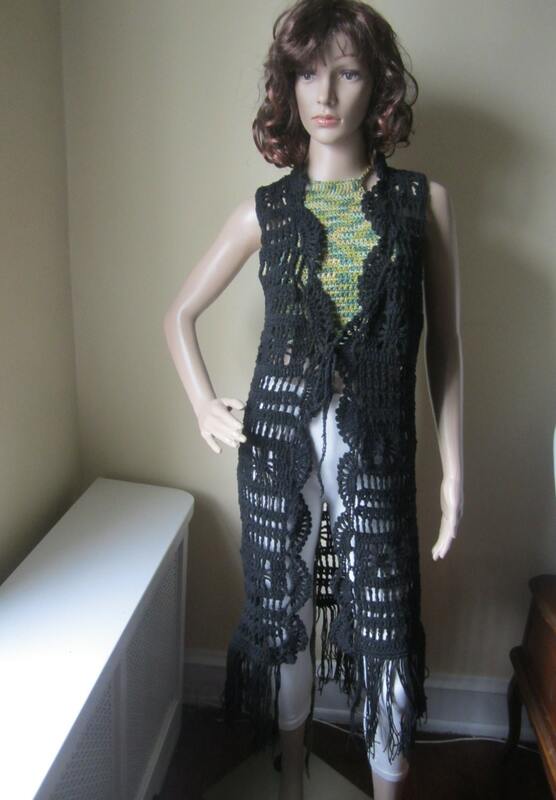 This is a BLACK crochet Fringe maxi vest made using 100% cotton yarn. 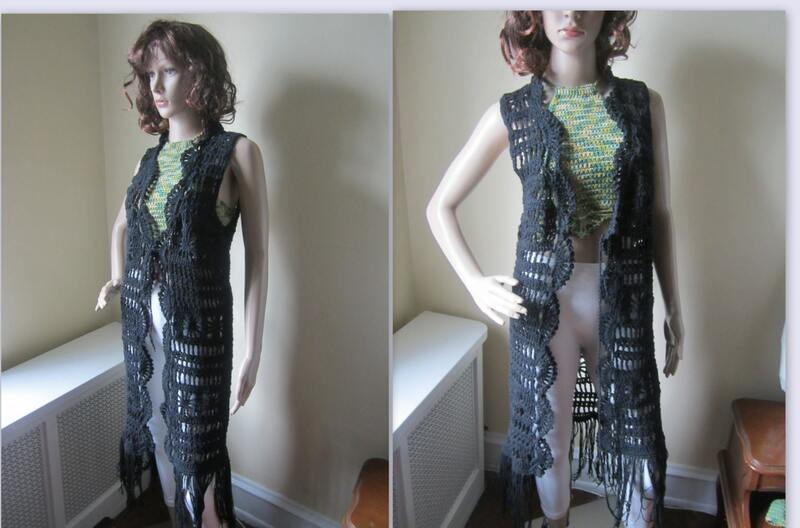 This vest is the perfect festival, boho, hippie, gypsy vest. 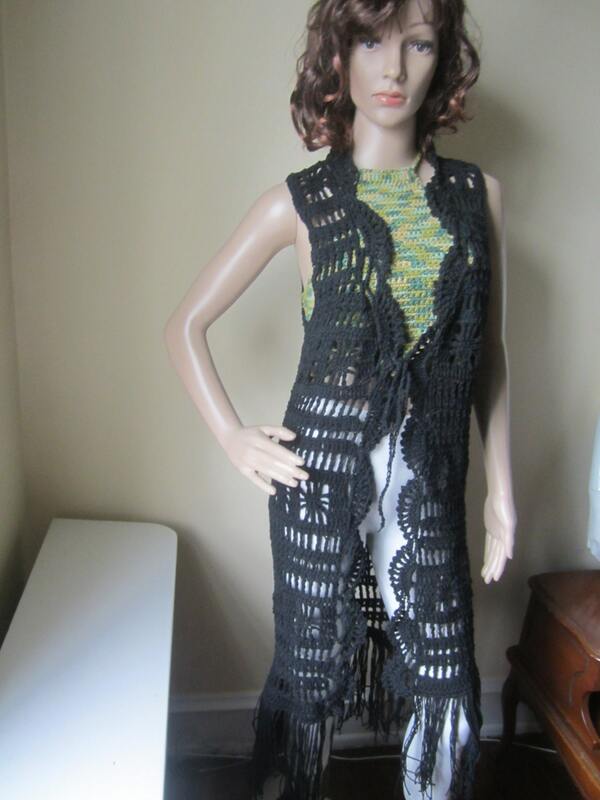 Vest features fringes and scalloped design along the front panel of vest. 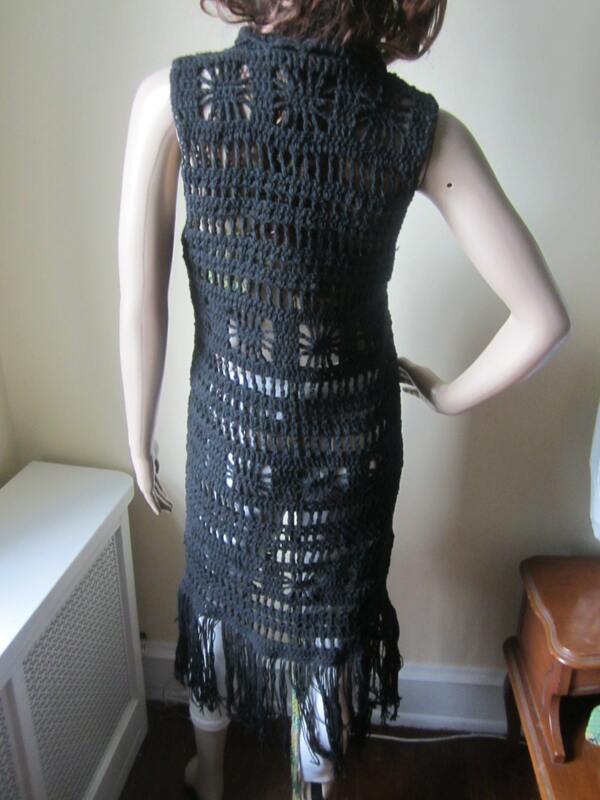 It has a tie enclosure that can be worn around the bust or waist. You can also wear the vest open. 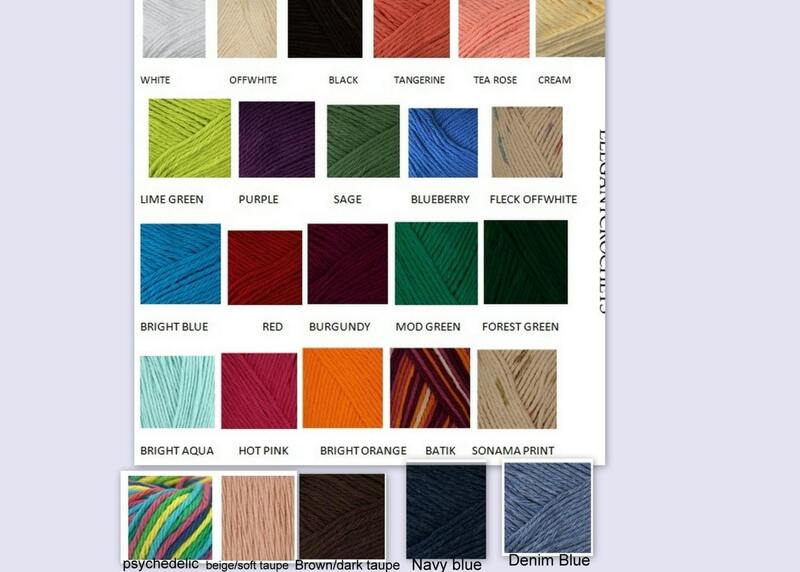 It can be made with or without fringes please indicate at check out. Great quality! Pretty colors! It's wonderful how custom orders are honored! This is beautiful and made with great quality.